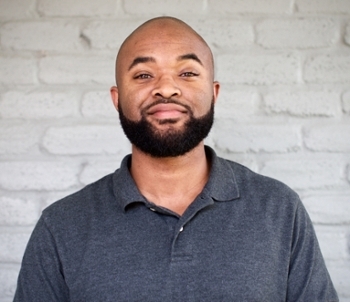 D’Jaun Green is a San Antonio native and UIW Alumni who studied Interactive Media & Design and has used his industry experience to develop himself into a multi-faceted designer. He has worked as a designer in web, print, and user experience for many large companies including Spectrum Athletic Clubs, The San Antonio Spurs, and USAA. His understanding and application of web technology coupled with design has created work that has been seen by millions of people across the world. He has continued to stay current on trends while keeping a strong attention to the core principles of his craft to make sure that he can always create the best possible experience. With and influence rooted in architecture, illustration, photography, and general aesthetic of everyday things, he continues to push forward his personal progression of becoming a well rounded designer.